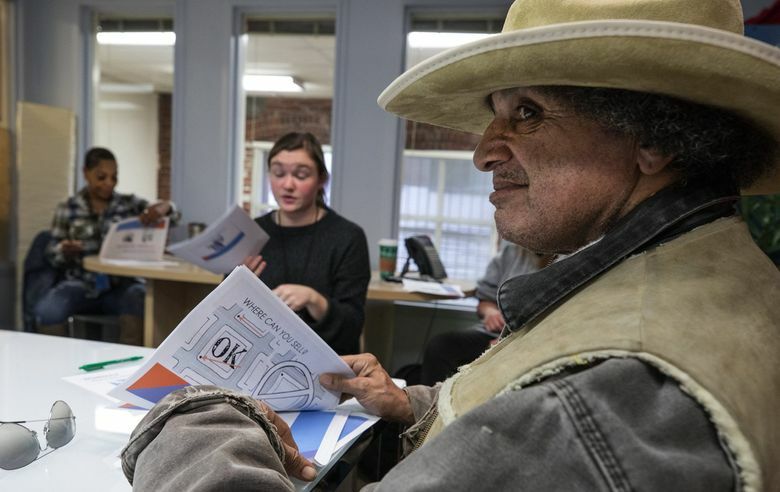 The paper, which turns 25 this year, has put millions of dollars into the pockets of some of our city’s poorest residents — and has no intention of folding. 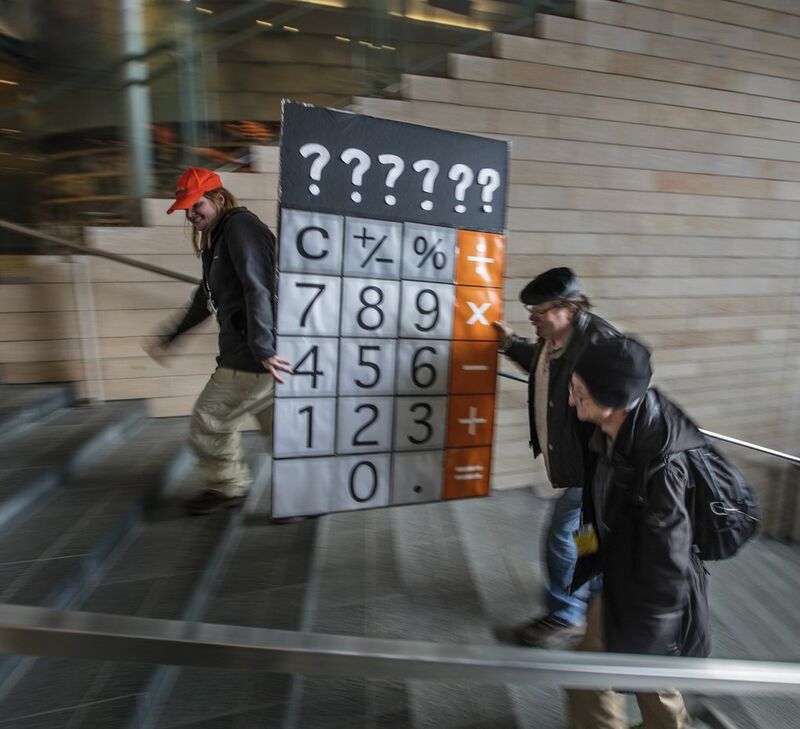 THE FIRST ISSUE of Real Change hit the streets of Seattle on Aug. 20, 1994. The 950th rolls out at 8:30 a.m. on a recent wintry Wednesday, with rain threatening and a sharp wind gusting off Elliott Bay. 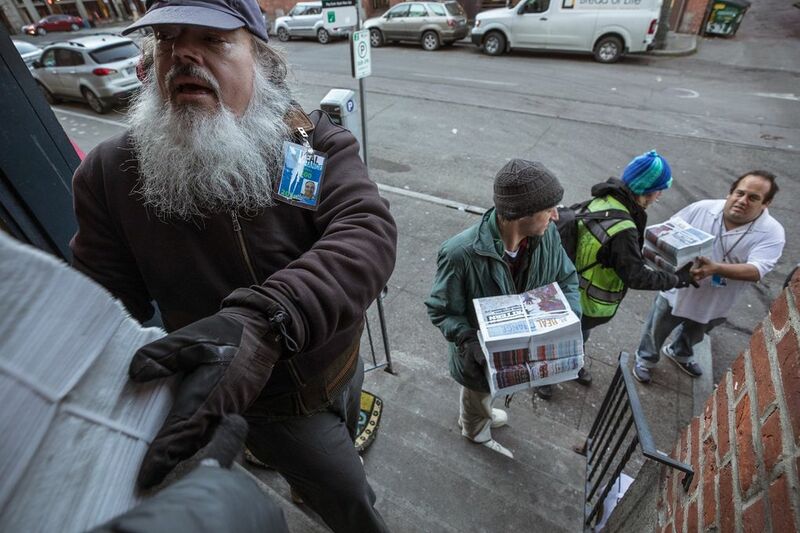 While a homeless man sorts belongings on the sidewalk where he slept, a scrum of Real Change vendors forms a line and passes bundles of papers from a delivery van to the tabloid’s office near Pioneer Square. Inside the old brick building, other vendors are milling around, drinking coffee from an industrial-sized urn and waiting to pick up the new edition. Managing director Shelley Dooley waves to get their attention. As Real Change marks its 25th anniversary, the nonprofit has much to celebrate. It’s among the country’s longest-lived street papers and widely viewed as the most successful. 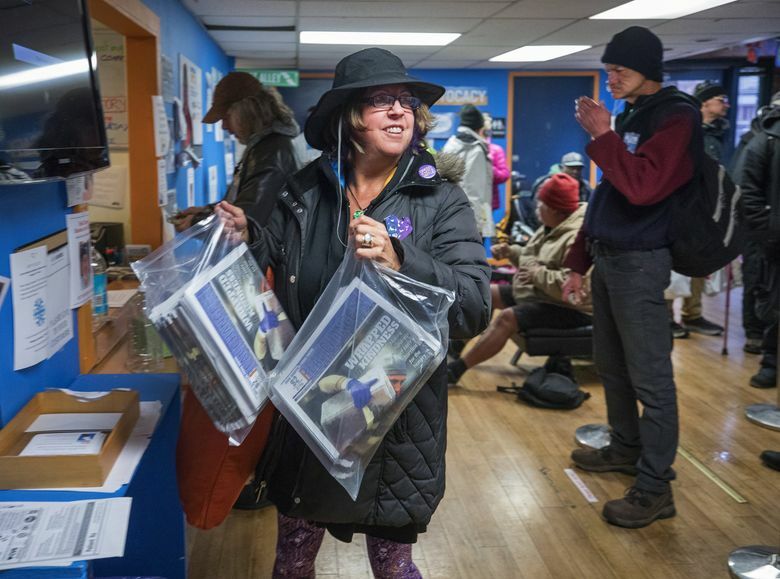 With a yearly circulation of more than 550,000 papers, sales of the weekly publication have put millions of dollars into the pockets of homeless and low-income vendors. The organization’s advocacy arm has evolved into a potent political force on behalf of the dispossessed. But it’s also a discouraging and uncertain time, says Tim Harris, the old-school activist who was broke — but had an early-model Mac — when he founded the paper he still leads. Homelessness in Seattle seemed horrible in 1994. Twenty-five years later, it’s worse. “It’s hard not to feel like in some ways, we just keep losing ground,” Harris says. With print publications in peril, Real Change has seen its distribution drop 30 percent over the past five years. Fewer people carry cash anymore, and most get their news and analysis online. Many people who buy the paper don’t bother to read it. 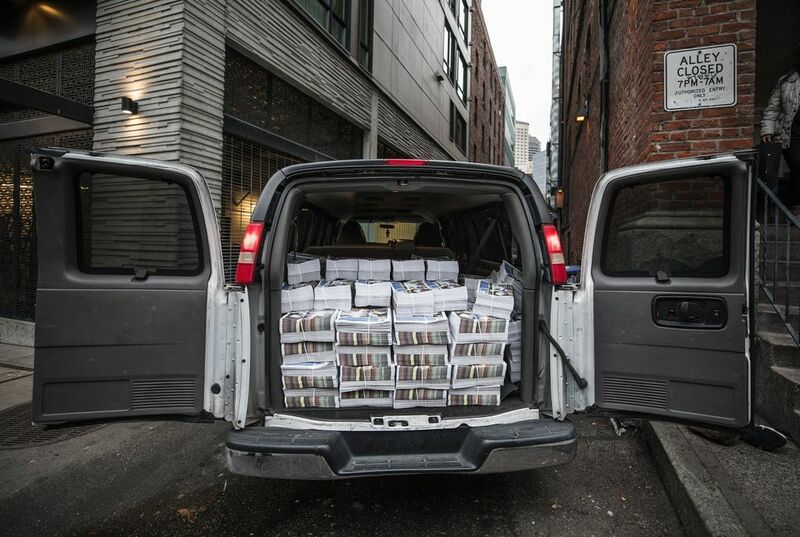 A street magazine in Nashville collapsed recently, and others are just hanging on. Can a publication dependent on face-to-face transactions between vendors from society’s lowest echelons and customers with disposable income survive in the digital age? “We’re never going to go online, because the point is for people to buy a physical paper from the vendor on the street,” he says. Instead, Real Change will be working this year to encourage payments though the Venmo app, which allows customers to enter a vendor’s badge number and pay with their phones. 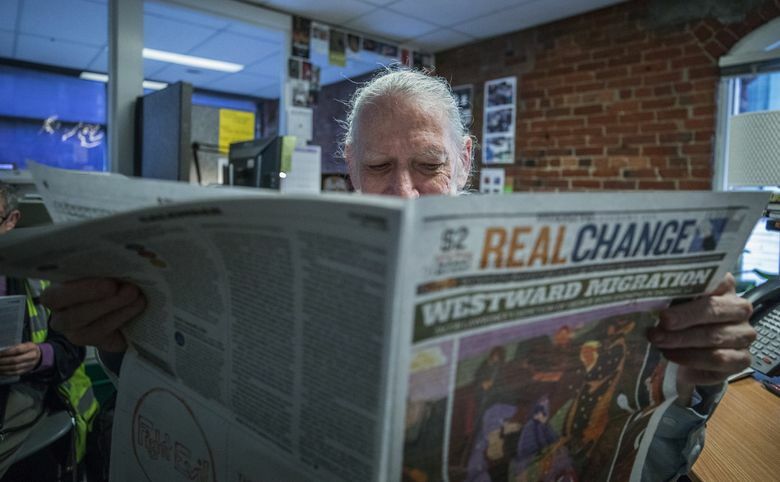 In a vote of confidence for the street-paper model, Real Change also is launching a program with The International Network of Street Papers to nurture existing publications across North America and help new ones get started. 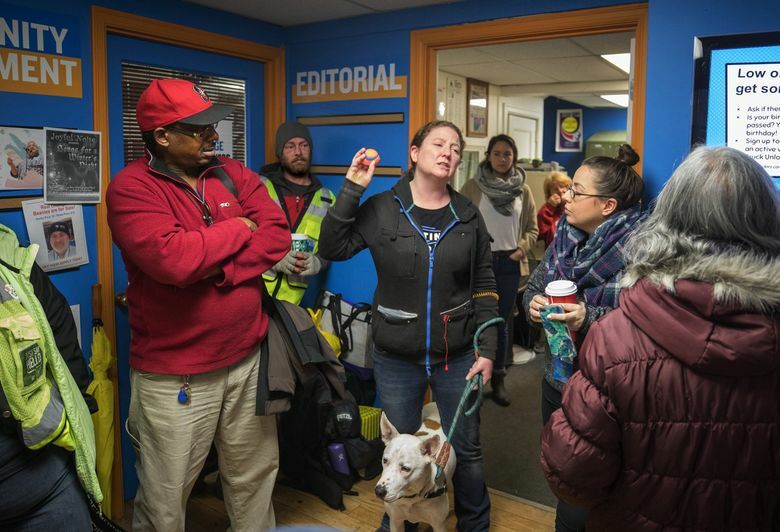 At the same time, Harris is doubling down on the paper’s role as an agitator with a controversial proposal to allow regulated homeless encampments back in places like “The Jungle” under Interstate 5 to stem the spillover into outlying communities like Ballard and North Seattle. AFTER WEDNESDAY’S UNLOAD, Susan Russell steps to the window to pick up her 150 copies for the week. 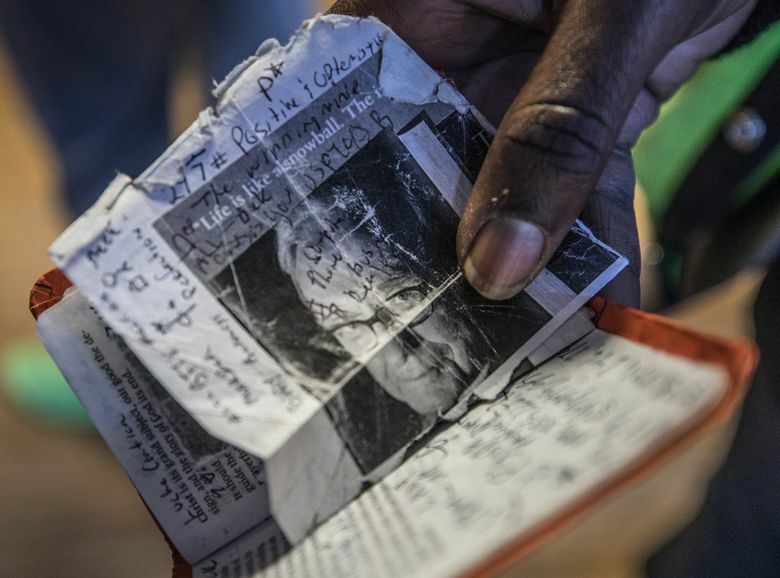 Vendors pay 60 cents for each paper, which they sell for $2, plus tips. Russell’s $90 tab is deducted from her Venmo account. The app accounts for only about 10 percent of sales so far, but Russell, 56, was an early adopter. She’s also a sales superstar, a member of the 600-club. Selling at least 300 papers a month qualifies vendors for prime locations. Russell’s is Ken’s Market on Greenwood Avenue, where she started in 2013. But the owner welcomed her, and she’s worked there ever since. Russell’s middle-class life started to unravel when she was rear-ended by an uninsured driver. Too injured to work, she lost her job as a union cement mason. When her savings ran out, she started sleeping near the Fremont Troll. It was several years before Russell discovered through Real Change contacts that she was eligible for disability benefits and subsidized housing. Now, like about half the paper’s vendors, she’s no longer on the streets. She lives in a small apartment at Sand Point and has a car: a rust-pocked Subaru stenciled with stars and moons. “I’m so blessed,” Russell says, arriving at her post in a steady rain. She pulls on an insulated coat and rain hat, both gifts from customers. Staff at a nearby hardware store keep her supplied with hand warmers. Two women with umbrellas approach, rummaging in their purses. “You’re my first sale today,” Russell says with delight. The money Russell earns from Real Change provides a buffer in a life with few luxuries. She uses it to pay for car insurance and is saving for dental work. But the biggest benefit has been the people she’s met whose kindness moves her to tears. Russell gives back through Real Change’s Homeless Speakers Bureau, sharing her story and advocating for the homeless at churches, schools and community groups. She’s testified to the city council and to lawmakers in Olympia. “I try to be the voice for those who haven’t yet found their voice,” Russell says, smiling and turning to greet another customer by name. IF RUSSELL REPRESENTS the pinnacle of Real Change sales, the four men gathered around a table on a Friday morning are the ground floor. They’re here for one of the twice-weekly new-vendor orientations. After agreeing to a code of conduct that bans abusive behavior and selling under the influence, the men get a short briefing and sales advice — smile, come up with a pitch, never solicit tips — then, equipped with badges and 10 free papers each, the newbies fan out to try their hands. 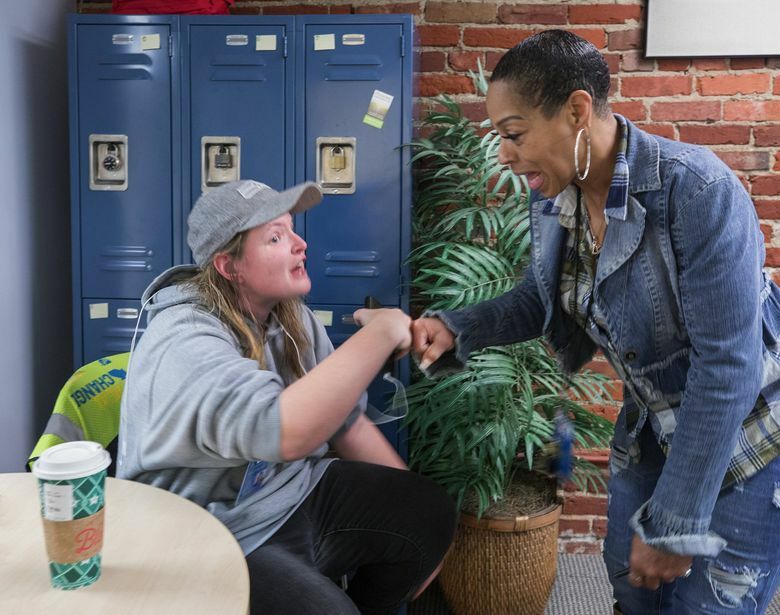 Getting started can be tough, warns Lisa Sawyer, 32, who heads Real Change’s Vendor Advisory Board. “There have been times when I’ve only made a couple of bucks,” she tells the men. But once, a customer gave her $200. The people who sell the paper are integral to its operation. They serve on the board, advise the newsroom, write columns and help keep things running. For many, the office is a social hub where they can drink coffee, log on to communal computers, use the bathroom and charge their phones. 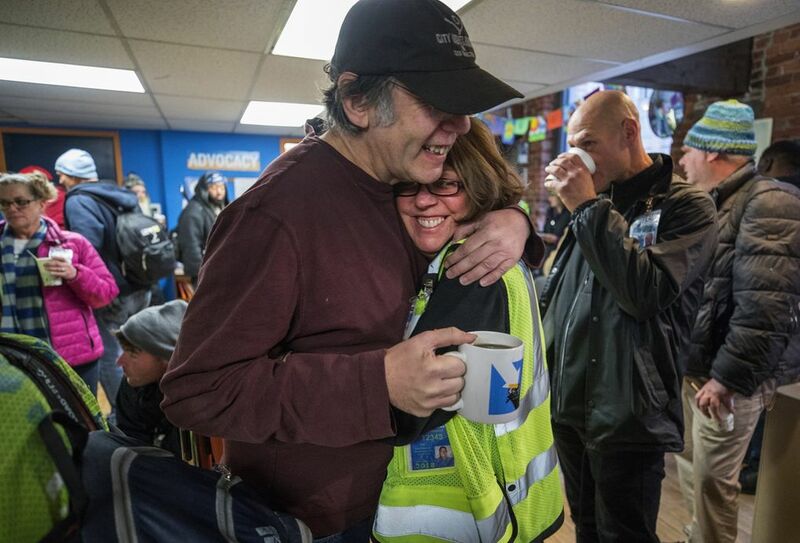 To help vendors — and others — connect with food banks, church groups, shelters and crisis centers, Real Change publishes a free resource guide. One of the organization’s top priorities this year is to boost its efforts to get vendors into housing. 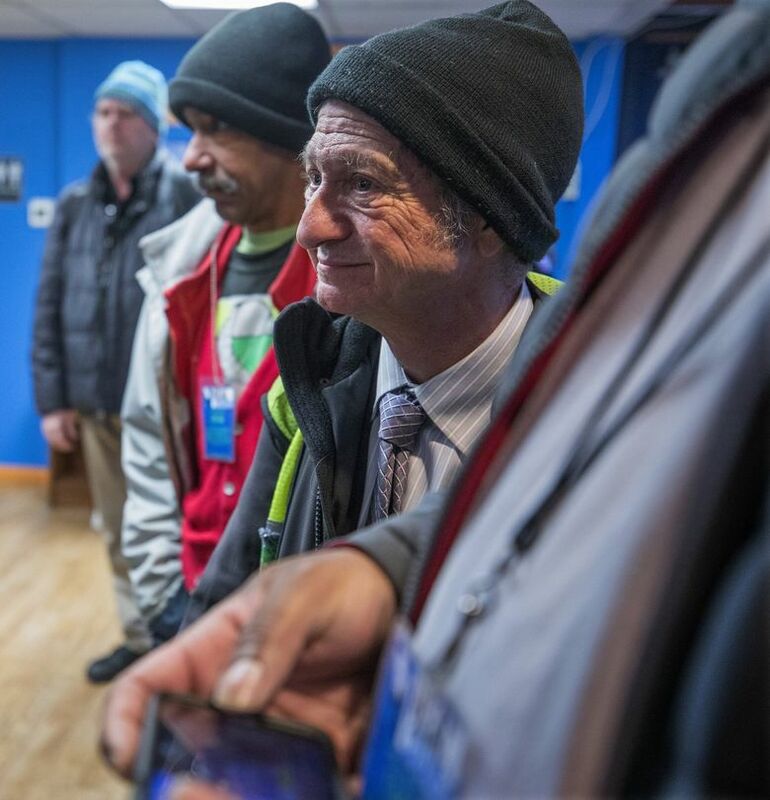 AS VENDORS LINE UP on another Wednesday morning, Harris, 58, wanders into the room, coffee mug in hand. A barrage of good-natured razzing greets him. In the early days, though, Harris and a handful of volunteers did everything, from writing, editing and layout to hustling money. 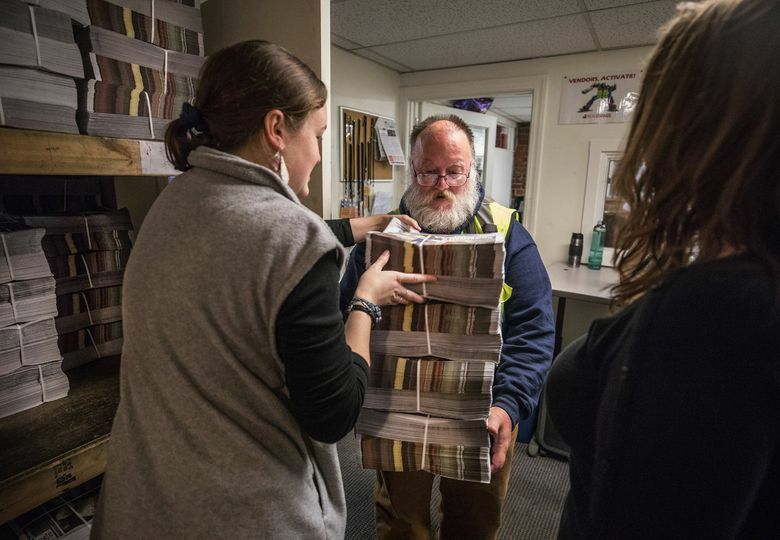 Today, newspaper sales bring in about 30 percent of the organization’s $1.2 million budget. The rest comes from a few foundation grants and more than 1,800 grass-roots donors. Harris’ affinity for the downtrodden is rooted in his own grim youth. He left an abusive home and dropped out of high school at 17, surviving by digging ditches, washing dishes and loading spuds at a potato-chip factory in South Dakota. Drugs were everywhere, and he partook with gusto. The military seemed like the only way out of a hand-to-mouth existence, so Harris enlisted in the branch that seemed least dangerous. He hated the Air Force, though, and tried to scam an early discharge by deliberately failing drug treatment. After an officer saw through the charade, the resigned teenager settled down and started taking college courses. He eventually found his niche with the radical set at the University of Massachusetts, Amherst, studying Marxist American history and storming the administration building to demand divestment from Apartheid-era South Africa. The modern street-paper movement began soon after Harris graduated, with the founding of New York City’s now-defunct Street News in 1989. The idea of a publication that advocates for social, racial and economic justice while also providing income for the homeless appealed deeply. 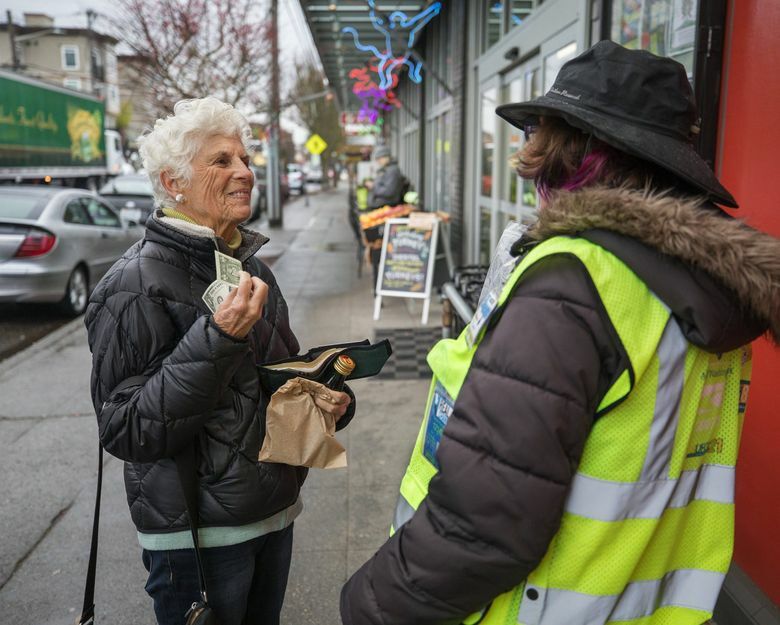 Harris helped found “Spare Change” in Boston, before deciding to give Seattle a try. 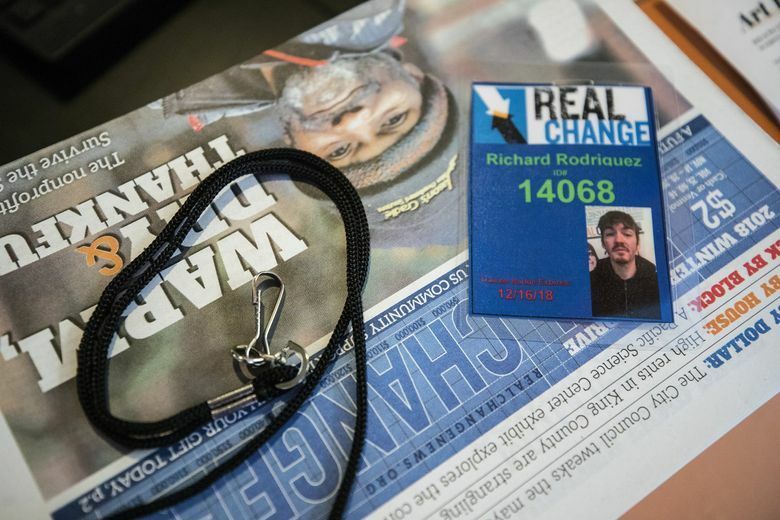 A STORY IN Real Change’s premiere edition about a sweep of the homeless encampment called The Jungle reads as if it were written today instead of in 1994. In 2016, the city tackled The Jungle again, this time forcing out more than 100 people and fencing off the greenbelt along and under I-5. Harris sees a link between that eviction and the encampments that since have sprung up in other, more troublesome, locations across the city. “It’s a self-inflicted wound based on a refusal to understand that people are not just going to shrivel up and go away,” he says. 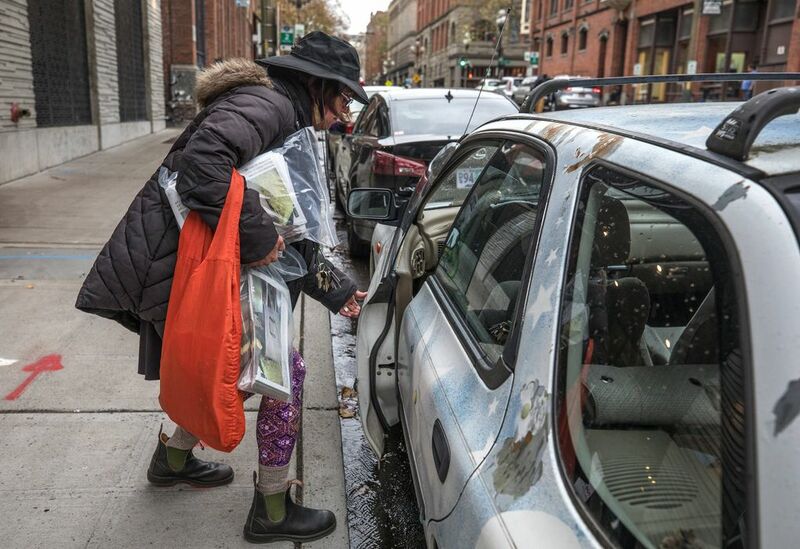 Businesspeople and residents are understandably upset to see tents and trash proliferate in their neighborhoods while the city budgets $90 million to fight homelessness. A small encampment even formed outside Real Change’s headquarters recently. 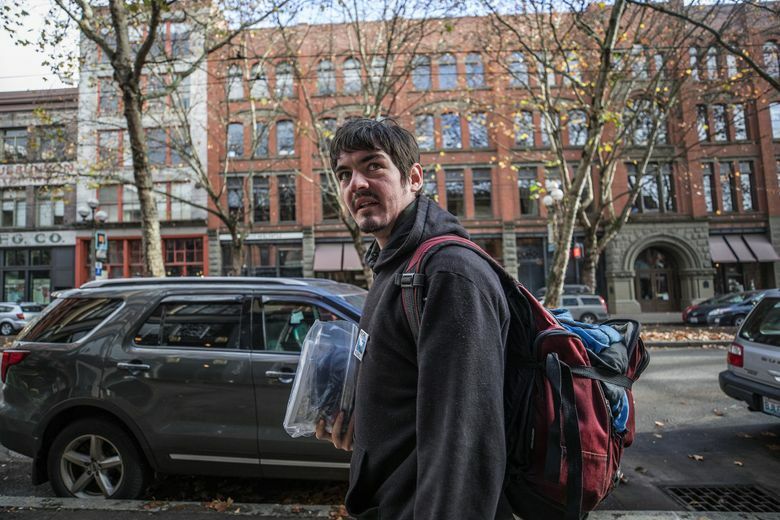 With trash and needles piling up, some vendors were scared to walk past. Now Harris is using his Real Change platform to suggest campers should be allowed back into places near the city center like The Jungle, but in a more regulated incarnation called “Harm Reduction Zones,” with toilets, outreach services and trash collection. The idea might not fly, but it’s not the first time Real Change has butted heads with the city and social-services establishment. When emergency shelters were getting short shrift in a government committee’s plan a few years ago, Real Change and its allies protested by pitching tents in city parks and packing the committee meetings with demonstrators. The organization helped sink a city ordinance that would have banned panhandling near ATMs and parking meters. 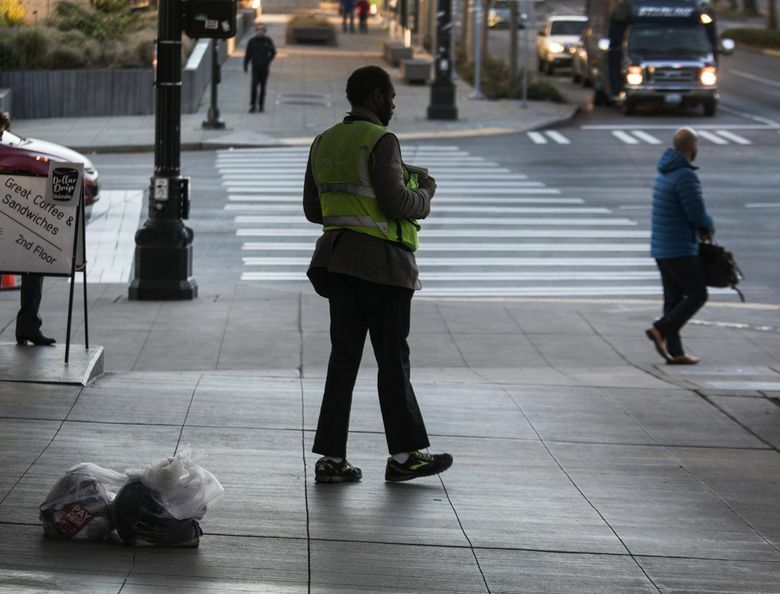 Former interim mayor and city councilmember Tim Burgess was on the opposite side of the panhandling debate, but came out of it impressed with Real Change’s acknowledgment that concerns about safety and crime are valid. “I know from my time in City Hall that they were respected and listened to — if not always agreed with,” Burgess says. The paper itself is widely read in government and social-services circles. “I think of them, quite honestly, as one of the best, alternative sources of information in the city,” says former Seattle City Councilmember Nick Licata. 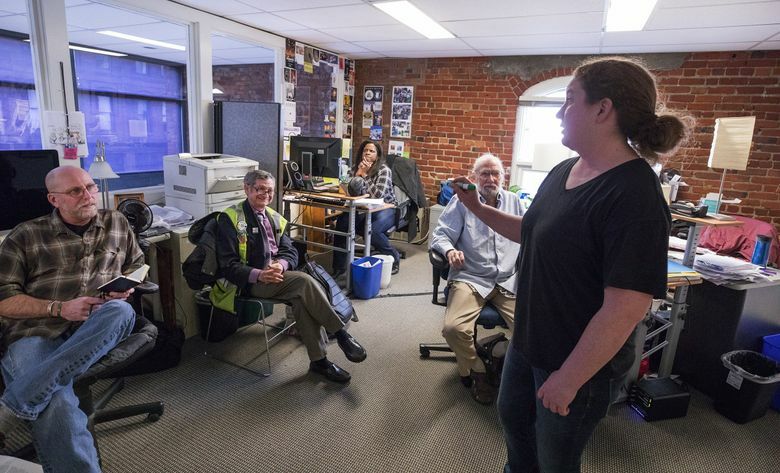 Many people don’t realize the paper is produced by a staff of professional journalists who win awards and cover the arts, environment and trends while also providing some of the region’s most in-depth coverage of homelessness and social justice. 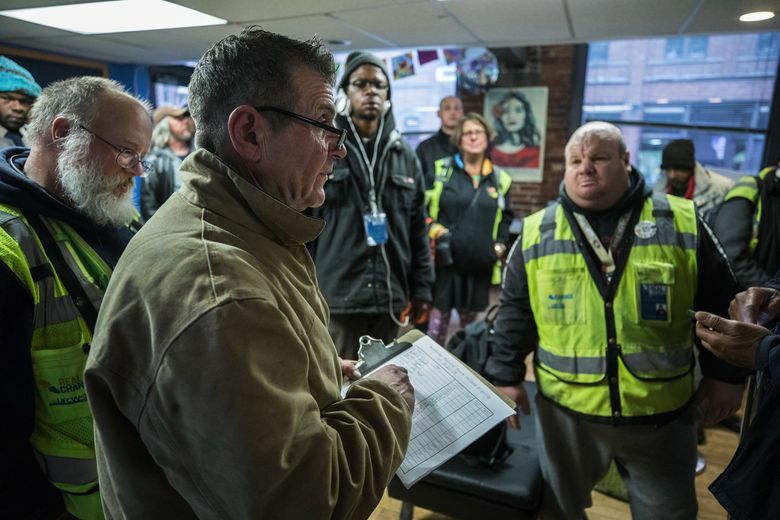 IN AN ERA where metrics are paramount, Real Change has no formal tracking system to document its effectiveness in helping vendors escape poverty and homelessness. There are enough stories like Russell’s to know that it does happen fairly frequently, Harris says. For other vendors, especially those who are older or suffer from mental or physical disabilities, even a small income can add comfort to a bare-bones existence. Some say the money isn’t as important as the sense of connection being a vendor can provide. 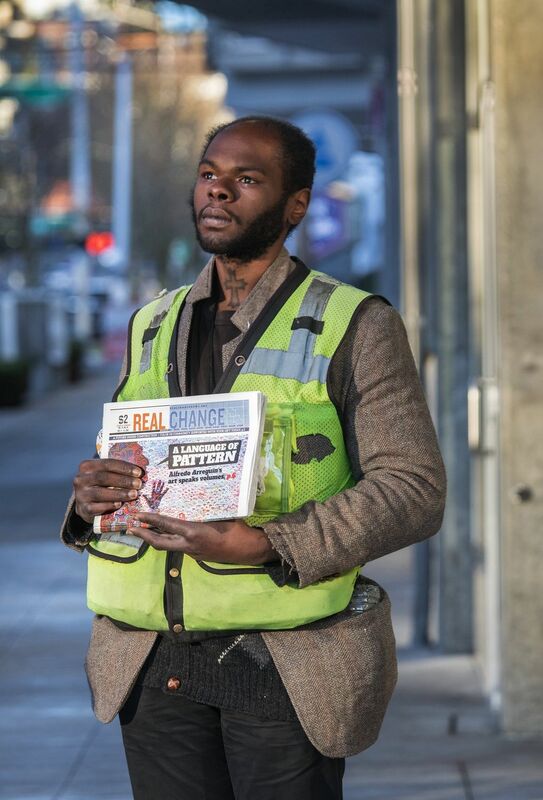 Real Change vendor William Ellington already sees himself as an entrepreneur. In view are the Space Needle, the $50 billion Gates Foundation and Seattle Opera’s new $60 million headquarters. A couple rolls past on electric scooters, holding hands. Pedestrians rush by in puffy coats fastened tight against the cold. Ellington wears a houndstooth blazer over an argyle cardigan. All his belongings — including a copy of Alan Greenspan’s “The Age of Turbulence” — are in two clear plastic bags knotted together at his feet. “I’m inspired by him,” Ellington says of the former Federal Reserve chairman. But business isn’t good today. 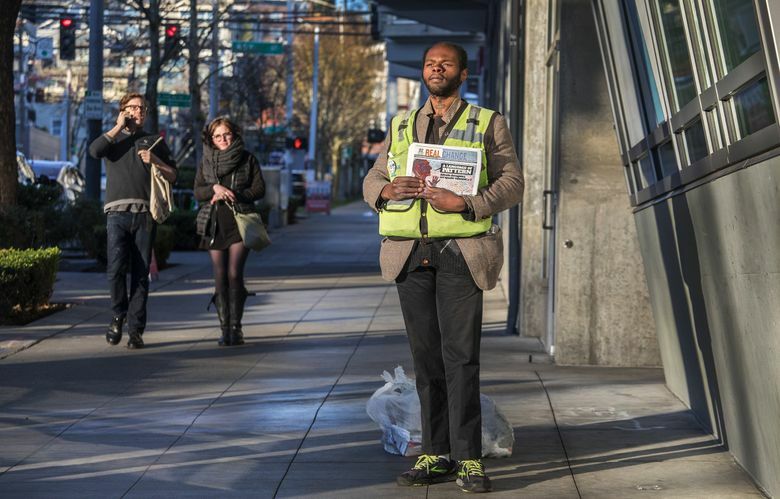 Ellington has sold only one paper, and it’s time to head back to the shelter for dinner. He prefers to walk, and counts as he goes. From here it’s 3,000 steps, he says, slinging his bags over his shoulder and heading out.